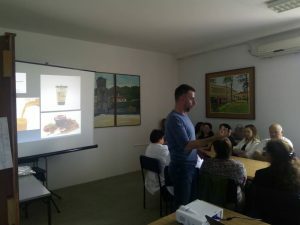 Last month, in Negotin, Pharma Maac sponsored the education of pharmacists, pharmaceutical technicians, doctors, medical technicians on the topic “Awareness disorders in pre-school children caused by hypo and hyperglycemia” with training for participants – determination of blood glucose levels in the peripheral blood, giving insulin therapy . Dr. Vlada Simić held lectures and training for more than 110 participants. Due to their great interest, education and training were held in two terms for three hours.